The rain didn’t put off a group of riders today for the 5 track sprint race. 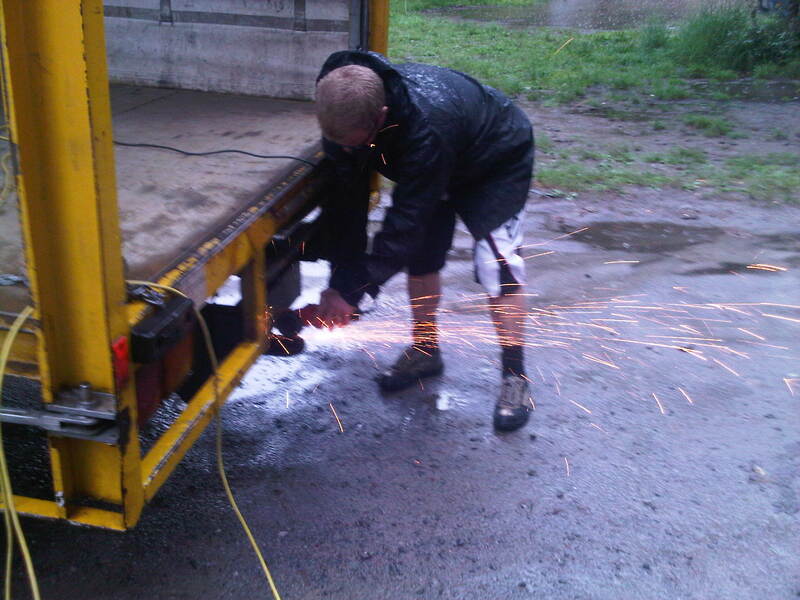 The day started with sparks as you can see from the picture. Slight modifications were required on the truck. Slight drizzle greeted riders with some of the less faithful not turning up due to the weather. They ended up missing a great race, great tracks and fantastic weather. Race results will be online shortly.